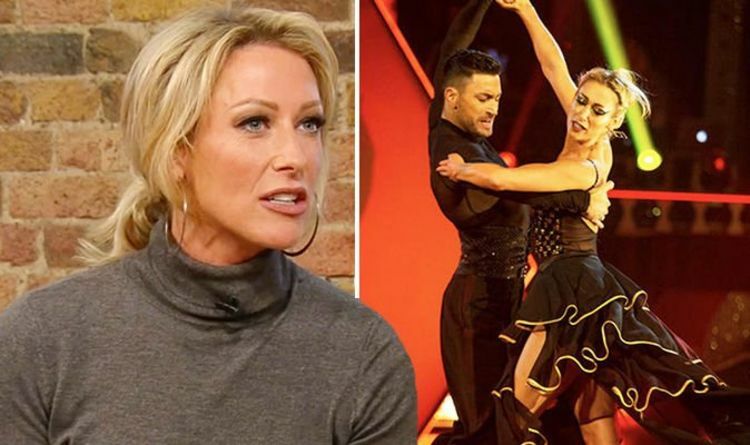 Strictly Come Dancing finalist Faye Tozer, 43, insisted she is watching what she eats in order to keep up her stamina for the jam-packed shows across the UK. The Steps star appeared on Saturday Kitchen with Matt Tebbutt, 45, today and was quizzed on the food she’s been eating ahead of her return to the dance floor. Faye spilled: “During the actual show, I grazed during the day really, so [I ate] fruit and caffeine and nuts and things like that. “I’d then go back to the hotel and have a full three-course dinner, pudding and glass of wine… get your calories in there. “So yeah, you could kind of eat what you wanted to. “Now, I’m not doing it so much and I kind of face-planted into Christmas and had a lovely time with everybody trying to feed me up. Amid her stint on the show, Faye admitted she “dropped two dress sizes” after intense 10—hour rehearsals. Last month, she told The Sun: “I feel like a ninja mumma now. Faye and Giovanni made it to the final of the BBC show last year, but missed out on the Glitterball trophy to Stacey Dooley and Kevin Clifton. During their time on the show, the duo were accused of flirting when they dined together at a restaurant in Blackpool for Faye’s birthday. Giovanni was seen wiping food from the married star’s face, but Faye hit back at flirting rumours claiming their lunch was just a friendly gesture. Faye, who has been married to Michael Smith since 2009, also addressed the so-called Strictly curse, which refers to relationships being made on the show. She said: “I think if it’s going to happen, it’s going to happen anywhere. Faye added it was “tricky” being away from her husband and their son for the training. The Strictly Come Dancing tour kicks off in Birmingham on 18 January. Saturday Kitchen airs each week from 10am on BBC One. Here’s a First Look at the New Armani/Silos Exhibit, “Fabula” She Recorded Her Boss’s Lewd Call. Guess Who Went to Jail?